Never before on audio! 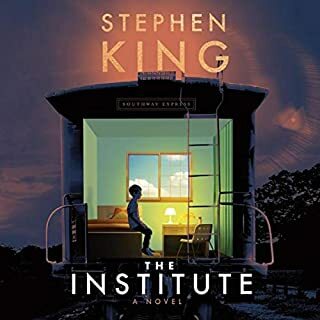 A number-one national best seller about a man who wakes up from a five-year coma able to see people's futures and the terrible fate awaiting mankind in The Dead Zone - a "compulsive page-turner" (The Atlanta Journal-Constitution). Johnny Smith awakens from a five-year coma after his car accident and discovers that he can see people's futures and pasts when he touches them. Many consider his talent a gift; Johnny feels cursed. His fiancée married another man during his coma, and people clamor for him to solve their problems. When Johnny has a disturbing vision after he shakes the hand of an ambitious and amoral politician, he must decide if he should take drastic action to change the future. The Dead Zone is a "faultlessly paced...continuously engrossing" (Los Angeles Times) novel of second sight. I really enjoyed this novel, James Franco is excellent at narration. the only reason. I gave it 4 stars is because I found the middle to drag on slightly. 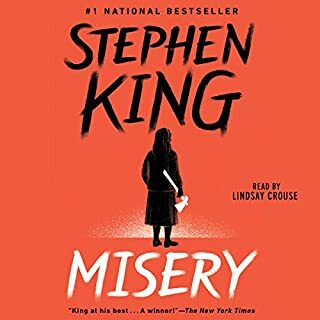 One of my favorite Stephen King books. Great performance from James Franco. Very well done. Highly recommend. The Dead Zone is an original and well created story. Protagonist John Smith was very likable and relatable. I felt my heart going out to him many times throughout the book and his hardships. 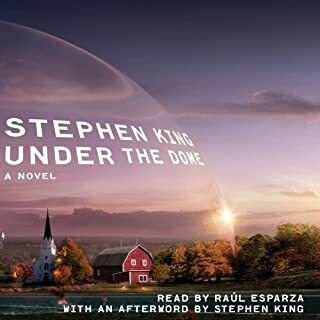 I wish there was more to Bannerman/Dodd story and I feel like the supernatural explanation of "The Dead Zone" was left unexplained but hey, that's Stephen King for you. James Franco did a fantastic job with this novel. 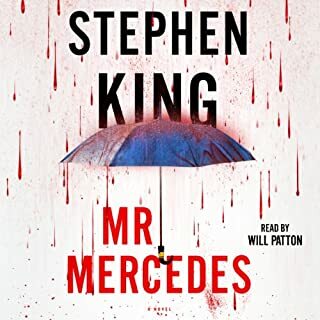 His voice acting was perfect for ever role he dove into and I really hope he does more books in the future; specifically more Stephen King books. Overall I thought narrator James Franco and protagonist John Smith made this a great read. I always enjoy seeing how King has developed similar themes across his books. Franco does a great job as narrator. I knew nothing of this story going in, usually I’ve seen a movie version or heard about it through the grapevine, especially for King books. But this one I only ever heard by name and didn’t even bother to read the summary. I had no idea what I was getting into or where it was going to go and it was fantastic. I really enjoyed the in-depth but vagueness of John Smith, I always felt like I had no idea where King was going to go with him. Small key features earlier in the book come back in big ways. James Franco wasn’t amazing but he had good narration and his almost flippant tone of voice worked really well for Johnny. His Polish Sam Wizack (?) cracked me up at first but you get used to it pretty easily. 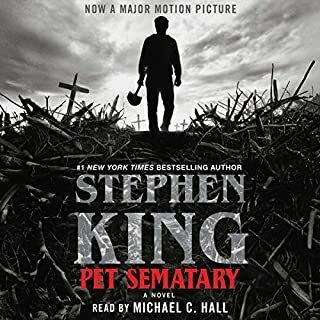 Overall I’m really glad I gave this one a shot, I really had no idea where it was going but I enjoyed the ride there and the ending was bittersweet. Stephen's trend of paranormal ability after serious injury has always been enjoyable to me. I also like the way many of his stories reference others. I primarily listen to audiobooks and his readers are well chosen and do a great job. 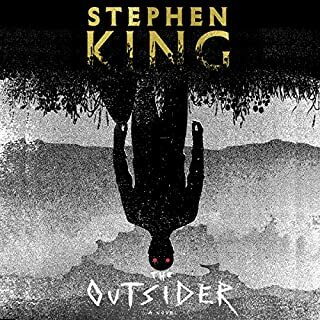 Thanks #Audible1 for your great selection of Stephen King books. 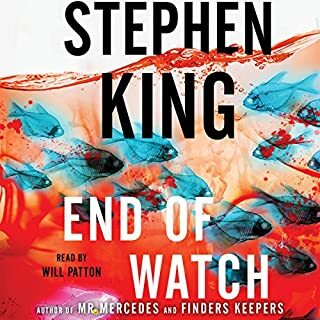 Stephen king's books are always great, and with James Franco narrating it was fantastic. Really good. James Franco voice made it an easy listen and intresting. The different accents for the characters was great. I'll admit I'm in the age bracket where a lot of my comedy movies come from the almost lover-like relationship between Franco, and Seth. However, I've also seen Franco in many serious roles, and after the first ten minutes, I just rolled with the story, and even forgot it was James Franco, stoner-comedy extraordinaire that I was listening to. His accent for Sam Weizak was absolutely melodic. I have no other word for it, I could honestly listen to Franco talk in Weizak's accent alone for hours. It just hit my ears so nicely. 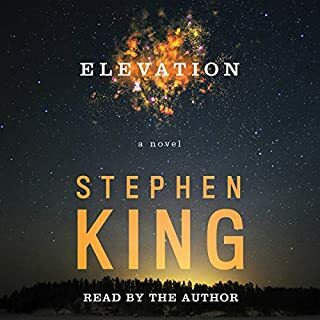 I'm a huge King fan, and I find this particular book reminded me of King's later novel (which I had read before listening to this particular audio book) "11/22/63". I loved that novel, and I loved this one, too. James acting helped bring this book into my mind's eye, and I was able to visualize everything in a driven clarity -- I even, cried once or twice. The emotion in Franco's voice was powerful and emotive. Thank you for the read, Mr. King, and Mr. Franco! 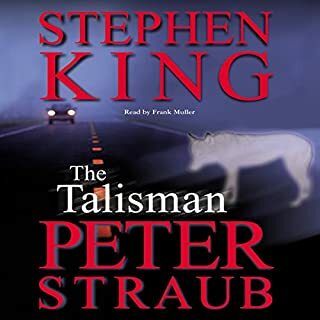 Through the years I have read everything by Stephen King and now I am re-reading everything, but audibly. 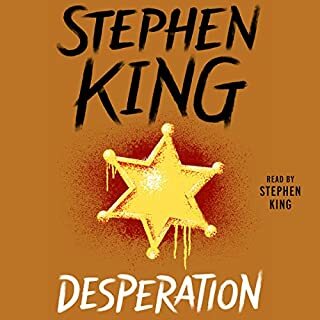 The Dead Zone was almost totally forgotten (since I'd read it so long ago) until I listened to it. Couldn't stop listening! King has the ability to make the characters into my dear friends, or just people I know. Incredible ability. 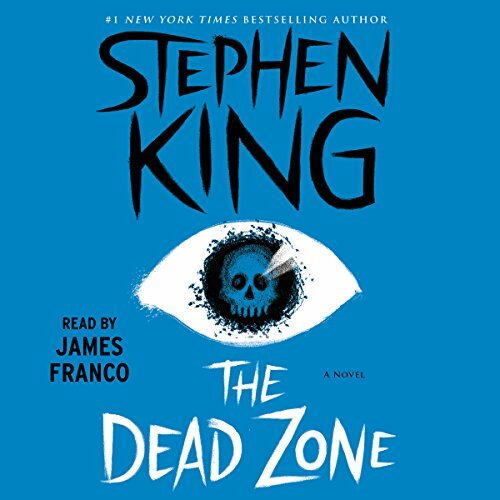 My favorite audible book EVER has always been Frank Muller's reading of The Green Mile, but the Dead Zone is right up there at the top of the list and James Franco does a wonderful job of reading it. 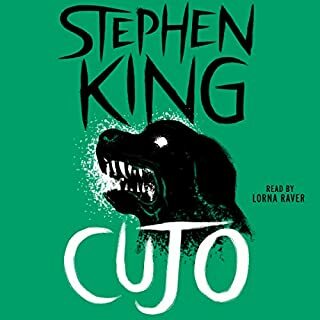 Thank you for keeping me enthralled and it's a pleasure to be re-reading all of Stephen King's books............on to Duma Key. What would have made The Dead Zone better? As much as I love James Franco, I found his narration to be distracting. There didn't seem to be any intentionality in any of his narration. He moved randomly from a whisper to a forceful voice. His accents had some to be desired. He almost came across as bored himself. So, I think better narration could have served the story better. I also found the story itself to be a little boring. 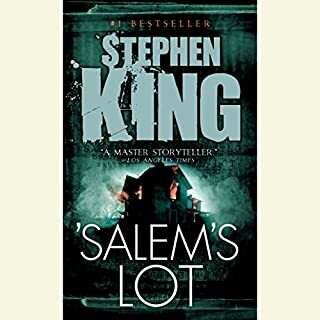 I know it isn't one of King's gory horror novels, it's more a supernatural thriller - but I still was not compelled by any of the characters or what they go through. The book jumps between Johnny Smith and Greg Stillson (with the majority of the book being about Johnny), but the Stillson pieces seem random until he and Johnny finally connect in the last third of the book. All the while, Johnny has already experienced things that could serve as the plot of two or three other separate books. When the reader finally understands how Stillson plays into Johnny's life...it still isn't straightforward and it caused confusion for me for the last part of the book. 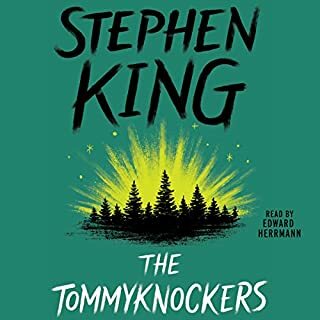 In fact, I actually rewound to the part of the book where Johnny has his Stillson vision to make sure I didn't miss something. When everything else with Johnny's visions are so straightforward, it seemed a cop out to have one that was so vague. The book seems to drag on with little point in certain areas as we revisit Johnny and the mundanities of life. I think it could've been a tighter, learner novel and had more of an impact. I also think the book suffered as a result of Franco's narration. Of course. This is actually one of his first books I've read that I was disappointed. I also think it may have been that this is one of his books that I'm not too familiar with. All the others, I've read before or are very familiar with their film adaptations - this one was completely new to me. So, I went in not knowing to expect, and was surprised at how slow-moving it was. Although, i will say, the story does offer some poignant commentary on the state of politics (especially in this current time), religious fanaticism, and destiny. It also reflects on human nature, especially since people want Johnny to use his psychic gift, but are immediately afraid of him after he grants their wish. What didn’t you like about James Franco’s performance? He was uneven. He seemed bored. He went through three different emotions in one sentence. He came across as angry at points where the character should've been solemn. He slipped in and out of accents for certain characters. What character would you cut from The Dead Zone? I recognize the importance of Sarah Brucknell in the beginning, but her constant return throughout the story as a sidenote was distracting. I also felt the way Stillson was handled made no sense for the reader until the last third. Before that, he just seemed like a tangent with zero connection to the story. I can't decide if Steven King loves or hates Maine. This book is one I wish I'd read in a group so I could discuss it with people between chapters. James Franco wasn't very good at character voices in my opinion, but his normal narration voice was alright. I found it hysterical he used the same accent for a Polish person and a Vietnamese native speaker, and would sometimes slide into the accent randomly here or there for a few syllables. 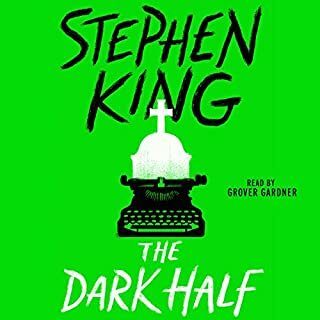 I would recommend this to anyone who can handle a little darkness in their stories. This is one of my favorite King stories. 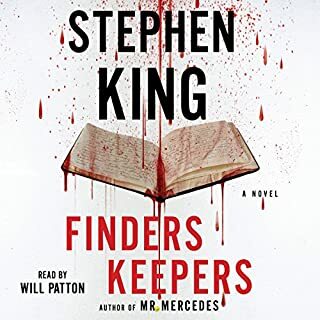 James Franco just made it one of my favorite King audiobooks to boot. Great performance!! The story is great. My only complaint is Franco's reading. most of the book it seemed as if he was whispering and I was unable to turn my volume up high enough. 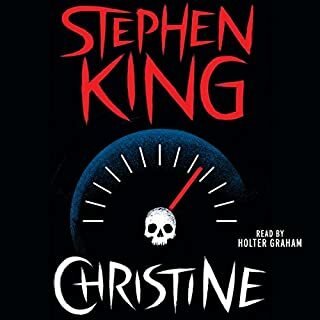 I read this years ago, and couldn't resist the release of the audiobook. 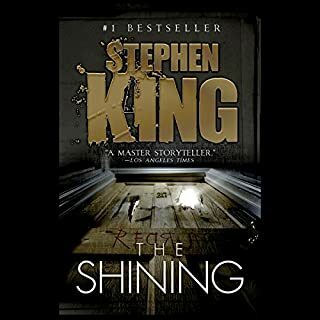 Though he became famous for his early horror tales like Carrie, this one is more similar to Mr. King's later works, where that feeling is more implied or psychological. Playing around with the semi ethical question, "if you could go back in time and kill Hitler, would you?" 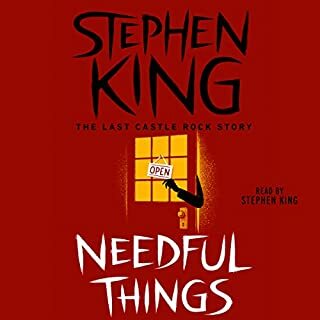 Mr. King weaves a tale of a good man searching for his own life, in spite of extraordinary gifts. Although originally published in 1979, the feeling of unease is multiplied as memories from last year's election season come to mind, as though foretold. This spellbinding story would have deserved a professional reader instead we have to put off with an amateurish performance as expressive as a concrete wall. Everything is missing , the narrator has only one single voice , frequency, timber , and prononciation. Listening is painful and dull. James Franco is a TERRIBLE narrator! Good thing the story is great.